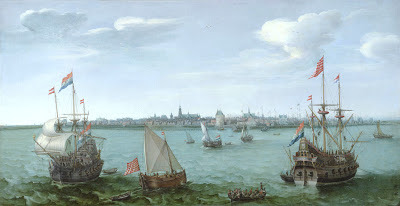 Hendrik Cornelisz Vroom (1562-1640) ,pintor holandés. 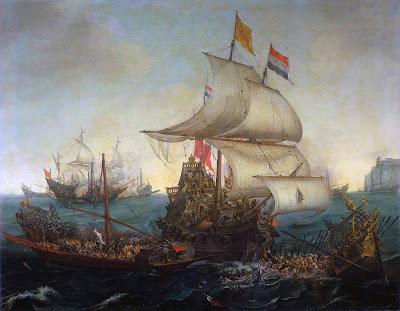 Dutch ships ramming Spanish galleys off the English coast 1602.1617. 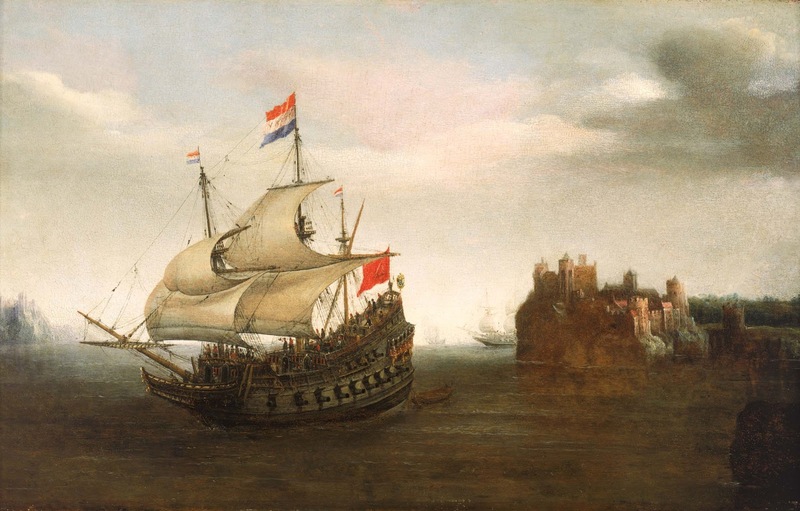 A Castle with a Ship Sailing Nearby.1626. The Arrival at Vlissingen of the Elector Palatinate Frederick V.1632.